Arriving in late January, the Volkswagen Virtus 2018 made its world avant-premiere in São Paulo, where the specialized press was able to know its details and get some information. The German brand did not divulge many details about the car and did not even want to comment on price, at least officially. The company just says it will be competitive. 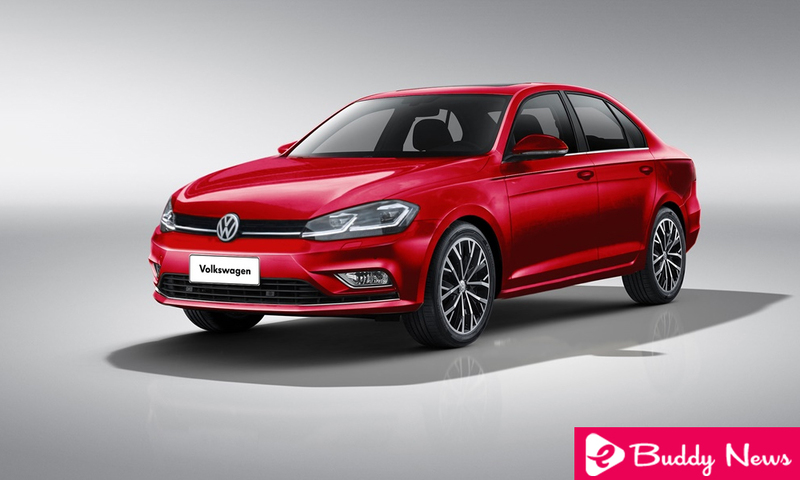 At the presentation, Volkswagen made size and volume comparisons with some compact sedans sold here, such as the Chevrolet Prisma and Cobalt, as well as Hyundai HB20S and Honda City. Virtus wants to offer a little more than the Polo, so it had its wheelbase extended by 8.5 cm, reaching 2, 65 m.
This new wheelbase should be a standard within the VW group for the MQB A0 modular platform. We can thus expect other products with that same space later. But for now, Virtus is the one who inaugurates the architecture, developed by the automaker’s engineering in Brazil. The steel graft at the base was also added to a frame at the rear to house a long and bulky trunk, which has a good 521 liters. This one also includes the luggage separator on the floor and lid with gooseneck opening. The MQB A0 structure promises to be as resilient as that of Polo 2018, which received five stars in Latin NCAP. On the outside, what impressed most was the rear, of course. It is longer than expected, thus giving the Volkswagen Virtus 2018 reach its size of almost 4.5 meters. The rear optical assembly with rectangular and split lenses, as well as the cover design itself, is reminiscent of the Audi A3 Sedan, although other elements are similar to other products in the German group. A strong crease on the sides rises to create a natural air baffle over the lid. On the sides, attention is drawn to the upper creases, which seem to give more volume to the drawing, appearing in the Highline logo. The silhouette is very soft at the rear, with the lookout extending well over the luggage rack. The front is short as in Polo 2018, not having exclusive elements in the Highline version. Even the 17-inch alloy wheels are the same as the hatch, as well as the Highline logo and other external details. What really is in it is beyond the B-columns. The bumper, for example, has nice looking chrome details. The cover has a handle for opening, which does not require the use of a button near the exchange, as it happens in Polo 2018. Inside, the atmosphere is quite wide. In the front, practically everything is equal to the Polo 2018, except the absence of the button of an opening of the trunk, mentioned above. But to differentiate one from the other, the Volkswagen Virtus 2018 adds a distinctive pattern of seats with lighter shades. In addition, the compact VW sedan has great rear legroom thanks to the larger wheelbase. The internal height is reasonable. The back seat is complete in terms of safety and right behind there are two large speakers. The backrest is split and can carry objects up to 2.60 m. Could this have a central armrest with cup holders. As already known, the driving position is good and the ergonomics correct. The ceiling comes with reading lights in front and back, plus cup holders. The glove compartment comes packed with CD, SD (2), lighting and cooling. Automatic air-conditioning is a must-have, as is the Discover Media multimedia with proximity sensor and good 8-inch screen. The adjustable armrest in distance is also good. What is missing? We noticed the absence of a sunroof, which would increase the value of the product. The Active Info Display is another highlight with its 10.25-inch configurable screen. The steering wheel with paddle shifts and glossy black trim and metalized gear lever are also commendable. In short, anyone who has ever met the Polo 2018 will have no surprises in style and content in the Volkswagen Virtus 2018, but will actually realize the good gain in the interior space and in your trunk, enough for a long trip. Equipped with 1.6 MSI engines of up to 117 hp and 1.0 TSI of up to 128 hp, the Volkswagen Virtus 2018 promises in the second case to go from 0 to 100 km / h in 10 seconds, which is good for your proposal. The first impression was good in several ways. We have not been around yet, but we can already imagine a part of the performance of the new sedan, which is expected to repeat the same offensive VW in price. Now, wait for the Fiat Cronos that will undoubtedly come to fight.